Every recipe is a story. Take pie, for example. (I’ll wait while you cut us each a piece.) In every culture, there’s a dish made of fruit baked in pastry or dough. It might be peach pie in Georgia, where peaches are easy to grow, apple or cherry up north where the trees need that winter chill. My friend from Kazakhstan bakes darling apple turnovers she learned to make with her grandmother. In other countries, you’d be offered a fruit tart or a stuffed dumpling. And whether we’re a local or a visitor, when we spot that treat, our faces light up. We feel connected. Nurtured. In the French countryside or an Oregon coastal village, we feel at home. When I was a girl, my father told me that if I wanted to learn to make a great cake, I should watch my Aunt Peggy, but if I wanted to make a great pie, watch my mother. Aunt Peggy lived a long ways away, so I learned to make pie. Now, I realize that despite the phrase “easy as pie,” making pie daunts some people. Our neighbor, in my childhood house on the wonderfully-named Dahlia Lane in Billings, Montana, said her pie crusts always looked like Idaho. Pie crust is forgiving, but what do you do with a long panhandle? Our house had a giant rhubarb plant, and rhubarb-custard pie was a family favorite. It’s a perfect mix of sweet and tart, like much of life. So when I mix the flour and butter and roll out the crust, I’m right back there in that kitchen with its birch cabinets and linoleum floor, Twiggy the beagle puppy underfoot, the song of meadowlarks in the field behind our house wafting in through the open windows. As I chop rhubarb, measure out sugar, and beat eggs, a part of me remembers every pie I’ve ever made, every pie I’ve every eaten. Physical therapists refer to “muscle memory,” but I think memory itself is a muscle, one that transports us through the maps of our own lives. You’re telling your own story as you read this and remember. Grandma Dee’s Shoo-fly Pie. The chocolate cream pie you ate at a diner on your first road trip with the man you married. The pumpkin pie you made for your first Thanksgiving in your own house, when the power flickered and you didn’t realize it had blown the fuse to the oven and you had pumpkin soup you still laugh about. 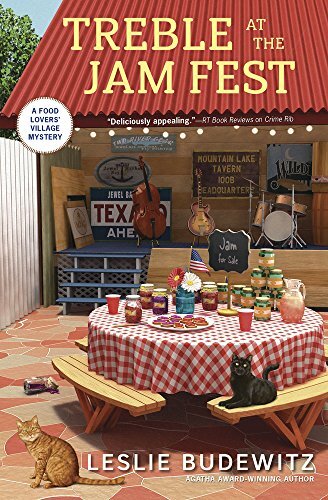 When Erin Murphy, the main character in my Food Lovers’ Village Mysteries, drops a jar of rhubarb jam on the first page of Treble at the Jam Fest (#4 in the series, out June 8 from Midnight Ink), the spatter and mess trigger a wave of broken connections. Of tensions erupting, of long-hidden truths now revealed. Of murder that threatens to destroy the annual Jewel Bay Jazz Festival, and hurt those who love it. But along with a passion for pasta and a talent for retail, Erin’s discovered that her business skills also make her a good investigator. So when tragedy strikes, she steps in to protect the community and keep the music playing. 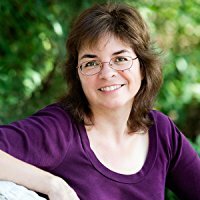 And when she and her family dive into a rhubarb-custard pie in the closing pages, she knows—we all know—that life will go on, in a delicious mix of sweet and tart. Now that’s a good story, don’t you think? Thanks for this feature. What a great book and a talented author. One of the series I faithfully follow!!!!!!! This is a fun series & I’m looking forward to reading this new story. Thanks for the giveaway! What a great series! The cover for Treble at the Jam Fest is really nice with the cats! The blurb is good too & I can’t wait to read this one! Sounds really good! Looking forward to the new book! 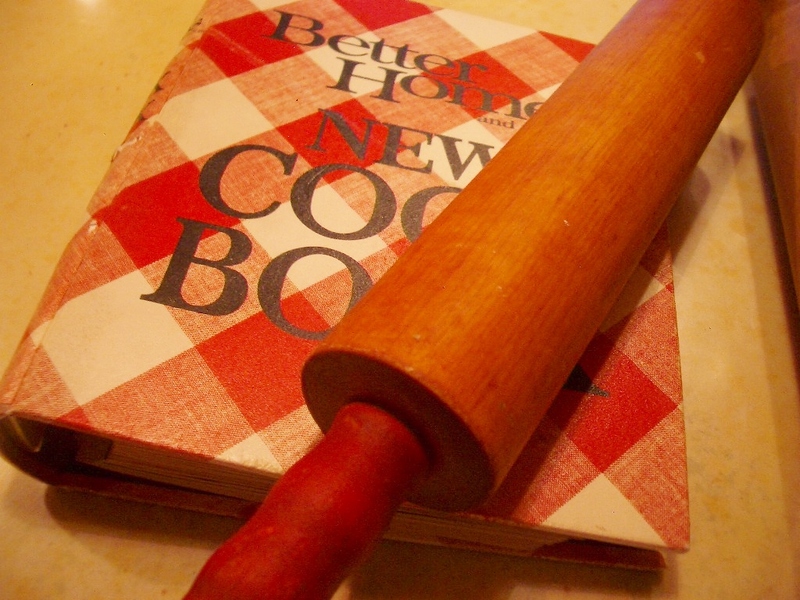 I like that original Betty Crocker cookbook like in the pic!